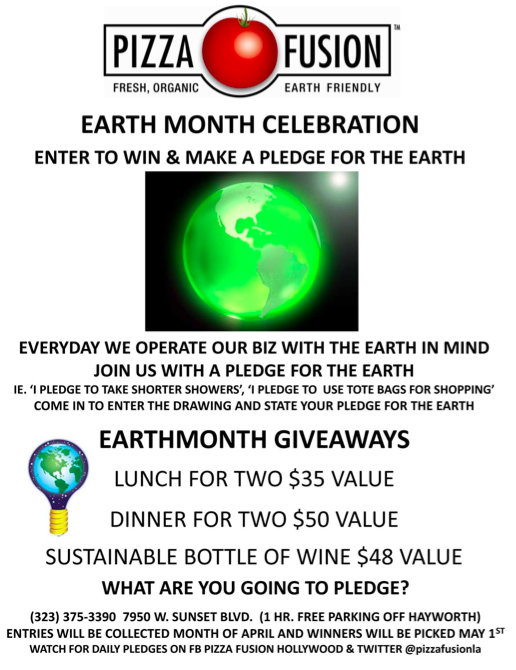 quarrygirl.com » Blog Archive » earth month giveaways at pizza fusion hollywood! so apparently by visiting the vegan-friendly sunset blvd restaurant this month and pledging to do something good for the environment, you’re eligible for free stuff! prizes for grabs are: dinner for 2, lunch for 2, a free bottle of wine, plus four laugh factory tickets for every winner. all you gotta do is go eat at pizza fusion and make a pledge during april. 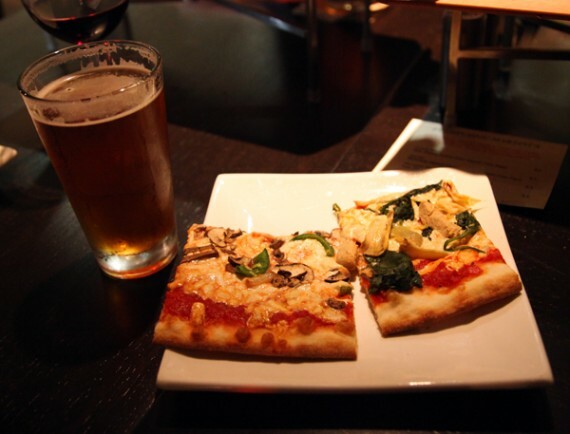 I HIGHLY SUGGEST you make your pledge have something to do with veganism, and duh, eat vegan pizza when you dine there. winners will be chosen may 1st! That’s cool they’re doing this.